I have spent the last month in survey heaven. Except that running three surveys for one project in one month, including gathering data, digitizing data, analyzing data, and writing the report, out of a one-room hut in my third-best language (yay for coded answers! ), is more fun than one person should have in one month. Especially when you have one week left and you are still digitizing data! Piles and piles of questionnaires and answer sheets. I really should have brought my hole punch. Anyone want to volunteer and help the Volunteer? I’ll feed you and share my hut with you. You just have to get to Johannesburg or Swaziland. 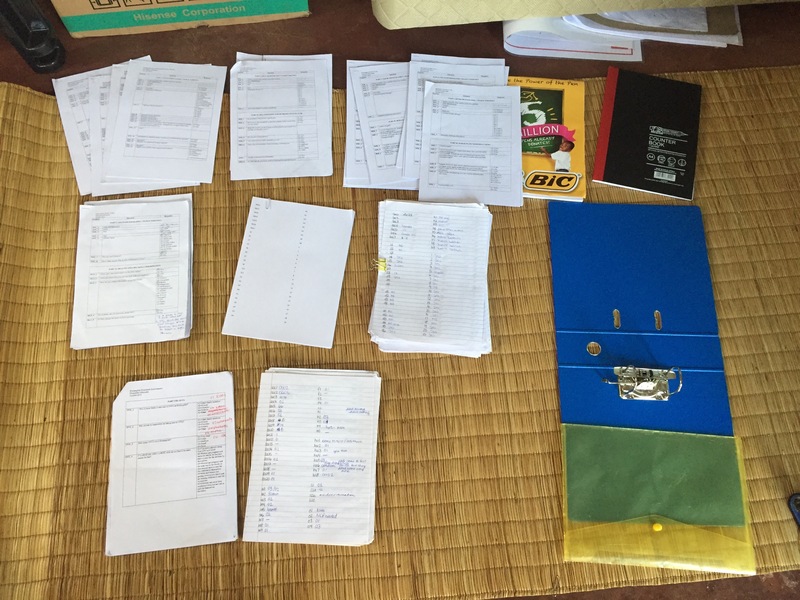 This entry was posted in Africa, Peace Corps, Swaziland, Wednesday photo and tagged Data, Data collection, Needs assessment, PCV, Peace Corps, Peace Corps Volunteer, Swaziland. Bookmark the permalink.